Microgaming presents its classy new take on the classic table game with Roulette, developed exclusively for Microgaming by Switch Studios. Switch Studios debuted at SiGMA 2018, where it delivered one-to-one demos of the game’s elegant mobile-optimised interface to a record-breaking number of attendees on Microgaming’s table games dedicated stand. Roulette is the first in a new suite of table games from Microgaming, and brings the ultimate roulette experience to online audiences. 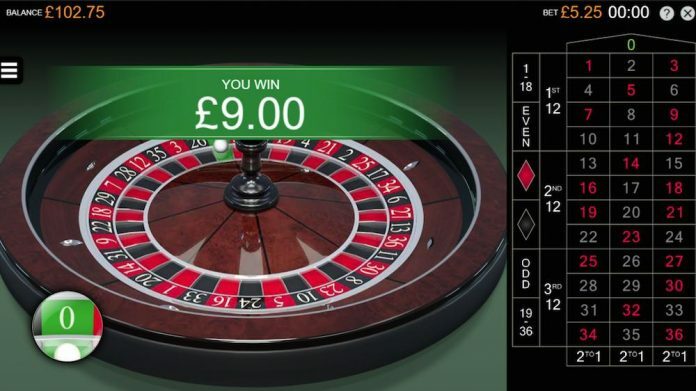 As roulette enthusiasts place their bets and spin the wheel on the stunningly realistic 3D roulette wheel with true-to-life ball behaviours, they are immersed in the thrill and excitement of the game with first class wins well within reach. With a slick and contemporary design, Roulette reimagines a classic casino favourite. The simple yet sophisticated interface is designed for desktop and mobile gaming, and allows players to place bets easily and effortlessly, as well as follow the action wherever they are. The superior title is built on a new game engine and in addition to its impressive design and superior sound, it contains special bets, favourites and racetrack betting features, designed in a modern style that will enhance the overall gaming experience for players.